In this post, I’m going to show you how to get free money. I know it sounds too good to be true. But trust me, these are legit. The other day I earned $25 referring my wife to a free site. Now, there are a lot of free money scams out there. And, most importantly, no idea on this list requires you to pay to sign up. Here are some reader favorites (aka the best ideas) for earning free money. 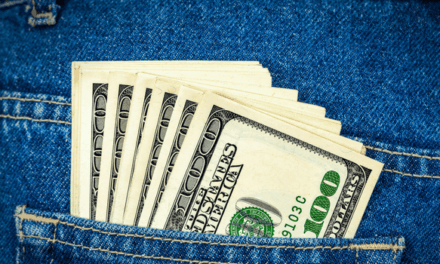 Have cash sitting in a checking or savings account? If so, it makes sense to find a bank that pays a high interest rate. Even if you don’t have a lot of cash on hand, consider shopping for banks to avoid fees. Some banks charge you for just about everything (overdrafts, ATM usage, account minimums, etc.). As such, finding a bank that doesn’t nickel and dime you puts more money in your pocket. My #1 tip for finding a bank that’s right for you is to check out Fiona. Fiona is a free search engine that helps you find the bank that pays the highest interest rate in your area. You’ll also see important information up-front, such as available bonuses, account minimums, and overdraft protection. No personal information is required. Just enter your zip code to get the results. See what banks are paying around you — check out Fiona today. If you’re thinking about switching or adding a credit card, you could find one with a great sign-up bonus. For example, one of my favorite cards — the Chase Freedom Card — has a $150 sign-up bonus and no annual fee. You’ll then get 5% cash back on rotating quarterly categories. Cash-back credit cards are great moneymakers when used responsibly. You can earn anywhere from 1 to 5 percent back on your purchases. Over the course of a year, that can add up to thousands of dollars. But keep this one important rule in mind: this is only a moneymaker if you pay off your credit card debt in full each month and maintain your current spending habits. Check out the top cash back credit cards. It only takes a minute to sign up for this site, and you’ll earn $5 . You can get free cash or gift cards just for doing what you normally do online. You can shop, surf the web, fill out surveys, or even get paid to watch videos. Survey Junkie makes it easy for new users to rack up points with simple tasks like confirming your email address, watching a “how it works” video, and filling out a short profile survey. When we ranked the best survey sites, Survey Junkie came out as one of the best. Start earning with Survey Junkie now. If you have a smartphone, you’re in luck. There are a few legit mobile apps that pay you to download them. Downloading each of these passive income apps can add up to a few hundred dollars in passive income each year. Many readers of The Ways to Wealth combine the money they earn from these apps to help save money on Christmas gifts or pay for a family trip. With the Nielsen Computer and Mobile Panel, you can earn up to $50 per year in rewards. And you’ll get that money just for downloading the app and then using your phone or computer as usual. It will take a few minutes to set things up — you’ll have to provide some basic information, set up a username and password, and install the app. Paribus is another easy win when it comes to scoring free money. 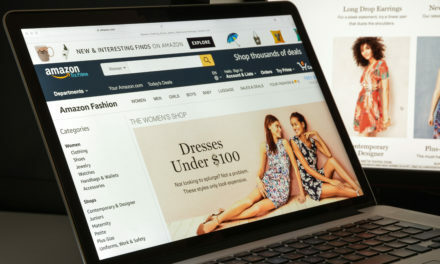 With this site, you shop online just as you normally would. The site uses an algorithm to track your purchases (through emailed receipts), and then helps you get a refund if the price drops. So far, the site has saved $24 million for its members. Those who use debit or credit cards can sign up for Drop — an app that rewards you for every purchase you make. After you link a card to your account, you’ll get points every time you buy something at participating stores. Once you’ve accumulated enough points, you can exchange them for gift cards. The Dosh smartphone app is similar to Drop in that you link your credit or debit card; when you make purchases with your linked card, you’ll get cash back. One notable difference is that with Dosh, you can choose to send your accumulated cash to a bank or PayPal account. If you’re feeling generous, Dosh gives you the option of donating your money to charity. With SavvyConnect, you download an app, browse the web, and earn money. The company gets valuable market research, and your identity is protected. SavvyConnect also directs you to paid online surveys that will reward you for your honesty. You’ll also have the chance to earn extra incentives by referring your friends and family members. Beyond smartphone apps, there are many more creative ways to make money online in your spare time. One such way is through website sign-up bonuses. As both large and small businesses need new customers, they happily give away thousands of dollars each year to new users. Some sites on this list require the completion of a small task to earn the bonus, such as submitting a receipt. Others give you a bonus just for signing up. MyPoints is a rewards site that allows you to earn money by watching videos in the background. You can also earn points by doing things that will help your bottom line, like printing coupons and taking surveys. When you have enough points saved up, you can trade them in for travel miles, gift cards, or PayPal cash. With this website and app, you don’t earn points — you get cash instead. If you get tired of only doing one type of activity for money, this might be a good fit. You can take surveys, play games online, browse the web, shop, read emails, and redeem coupons online for money. With this app, you’ll get cash back on every-day purchases like milk, bread, and eggs. There is a little legwork involved with this app. You need to add your offers before shopping to ensure you get the cash back. Then, once you get back home, scan the barcodes (read our comprehensive Ibotta review to learn more about the process). But you can also save at many of your favorite stores with the exclusive coupons and offer codes Ebates gives its members. 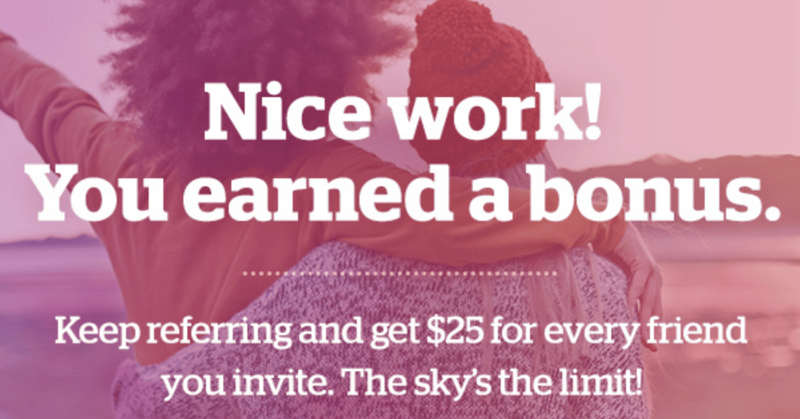 They also have a generous referral program, which allows you to earn $25 for referring a friend. This site comes with a $10 sign-up bonus. After that quick process, you’ll get up to 40 percent cash back at more than 5,000 stores. BeFrugal gives you several methods for getting paid, including check, gift cards, PayPal, or direct deposit. Plus, it has special deals and coupons you can access. Signing up for multiple cash back sites and earning the respective bonus is easy money. With Personal Capital, you’ll have all your information at your fingertips to see your complete financial picture. To qualify for the $20 gift card, you’ll need to link at least one investment account, such as a 401(k) or IRA. That’s a good deal for a website that will also help you track and manage your finances with useful tools. This is about as easy as it gets. Although the $1 sign-up bonus you’ll get with this site isn’t much, it’s still better than nothing. And it takes just a minute to do. Then, you can start earning better money by taking surveys online. Hundreds of surveys are added every day, giving you more chances to earn cash. These are great options for making a little money while on your daily commute or watching TV. Think of idle assets as anything you own right now that could be making you money. Here are six ways to earn money from what you currently own. Airbnb can be a good moneymaker. You don’t have to live in Hawaii or some other top tourist destination to rent out a room. Even things like a summer festival in a small town or people coming back home for the holidays can create a need for a room. This is a good option whether you live in a big city or a more rural setting. Do you have a nice set of wheels? If so, you can rent your vehicle through Turo. If you go this route, make sure to check your car insurance coverage. Insurance is regulated by individual states and policies change from carrier to carrier. As such, check your specific policy to make sure you’re covered. Most of us take a pretty picture and then forget about it. But if you’re smart, that pretty picture can be worth some extra money. Stock photos are big business. One good photo in your phone or on your camera can earn you a decent amount of money. An afternoon spent taking a lot of images can create a passive revenue stream for you. If you have some excess weight to lose, you might be able to find the motivation to do it by earning money for your efforts. With HealthyWage, you can do that by being part of a weight loss team. The social aspects of HealthyWage can help you succeed with your weight loss goals, and you have the potential to earn thousands of dollars depending upon how well you do. There’s a reason Craigslist has become so popular — it’s good for both sellers and buyers. Unlike garage sales, where you often let your stuff go for a little bit of nothing, Craigslist can fetch you a decent price for your items. And there’s no pressure to sell until your desired price is met. The best things to sell are cell phones, TVs, and furniture. If you don’t want to deal with people, and want to get paid relatively fast, Gazelle allows you to send old electronics in and get paid for them. There are millions of dollars in money waiting around to be claimed by the right person. What’s important here is using reputable websites to do your search. Sometimes you realize that you missed some potential tax deductions after you file your tax return. If that sounds like the boat you’re in, it’s not too late to regain those earnings. It can take a while for your amended return to go through, but you’ll eventually get your money. You pay enough in taxes, so make sure you don’t let this slide if you’ve overpaid! Sometimes, despite your best efforts, you miss out on some money that’s owed to you. Perhaps you forgot to pick up your last paycheck, or you moved before a government refund was mailed to you. But you don’t want to fall for any scams in your attempt to find it. To find unclaimed money, visit MissingMoney.com. 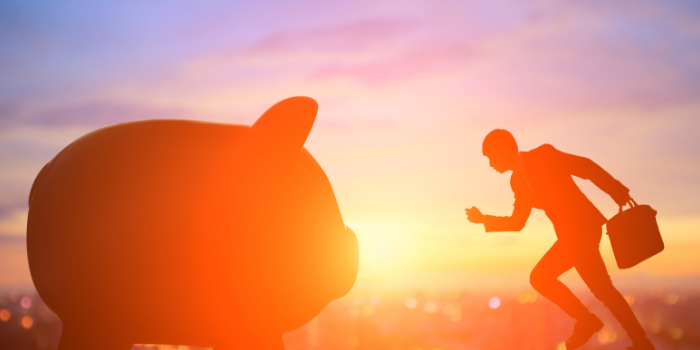 Considering how often people bounce between jobs these days, you might not always keep great track of the pension you’ve earned. 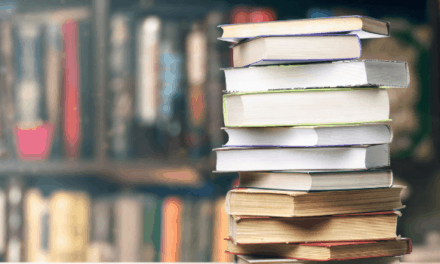 You could be owed a pension and not even know it — especially if you’re bad about reading the policy handbooks at your jobs. To see if you are owed a pension, you can visit this Government website. You can get a lot of free money to attend college, both full-time and part-time. That will benefit you in the long run, since you’ll likely increase your future earnings with a degree. Not to mention, student aid can minimize your student loan debt. To discover your free aid options and see how much money you could potentially be entitled to, you can visit Federal Student Aid. On a related note, if you have student loans, consider refinancing them to a lower interest rate. You can free up a lot of extra cash this way. Any post on free money can’t be complete without mentioning Trim Financial Manager. Trim is not a mobile app (and therefore has no reviews). Nor does Trim have a page on Trustpilot or BBB. However, it’s become one of my favorite personal finance tools. What Trim does is identify ways for you to save money. Then, in some cases, Trim will handle the entire money saving task. For example, say you want to save money on your cable or phone bill. Trim has a robotic assistant that negotiates with the provider on your behalf. 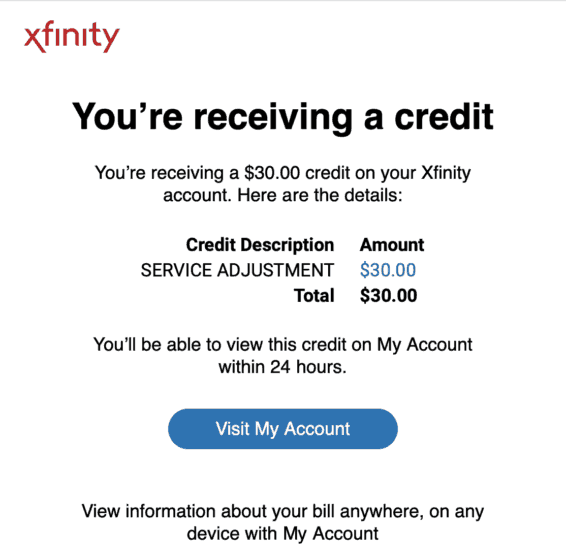 The other month, Trim negotiated a $30 discount on my internet bill for a long service delay. Ironically, I was on vacation at the time, so I didn’t even realize my internet was down. Check out this review of Trim for more details. Or, you can sign up for Trim here. 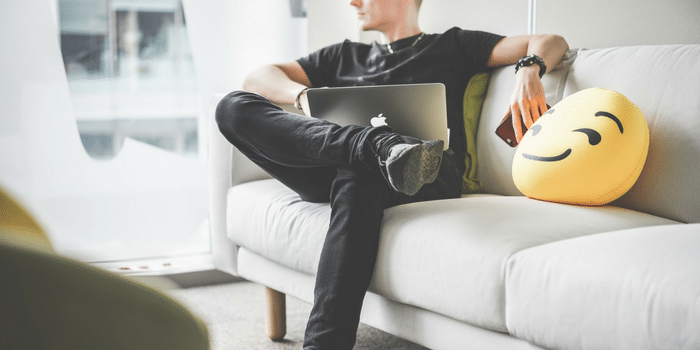 While a legit side hustle will earn your more money in the long run, the above 30 ideas are easy wins that can help you build momentum with your finances.